Another spot that is often neglected by tourists, especially during non-summer months, is West Seattle’s Alki Beach Park. Alki Beach Park is rather a park that’s a beach; no one calls it a “park” but just calls it “Alki.” It’s pronounced more like “Al-kai,” as in rhymes with sky, not “Al-key” – I made and make that mistake still. Even though during the summer days, it gets crowded, there is always tons of parking available and much space to roam. The wide, paved sidewalk is perfect for joggers, rollerbladers, and groups of three (maybe even four, but that’s obnoxious for others) walking side-by-side without any awkward letting-others-pass sidesteps. With hours 4:00am – 11:30pm, it’s a popular destination from sunup to sundown. The 2.5mi stretch of beach runs from Alki Point to Duwamish Head on Elliott Bay and brings all kinds of wonderful people on sunny days for the best people watching. You’ll see volleyball players, beachcombers, sunbathers, bicyclists, tourists, and strollers out baking and roasting in UV rays (UVA & UVB). 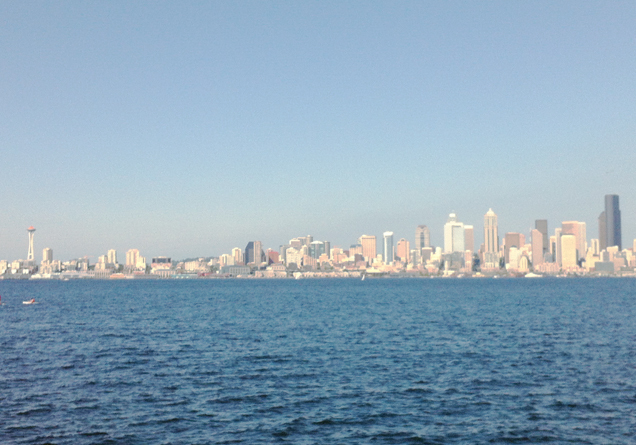 The best part of Alki Beach has to be the views from both sides. The waterfront beach side offers panoramic views of Puget Sound, the Olympic Mountains, the Seattle cityscape (Space Needle! ), and water vehicles (e.g. ferries, kayaks, sailboats, and ships). Then, on the other land side are the cottages with floral gardens and well-decorated (possibly wealthy) beach homes that aren’t cookie cutter. There is nice architecture of beach homes to be seen and appreciated. If you’re living in Seattle, one of the best tips that I was given was to go to a nighttime BBQ at Alki or if you’re a daytime lover, throw a picnic on some of the picnic tables. 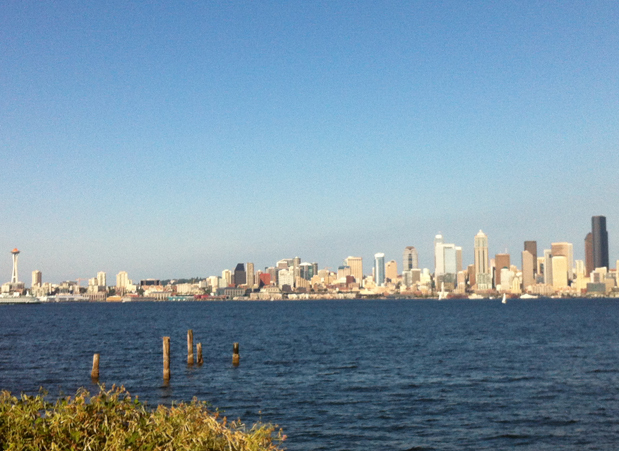 After a visit to Alki, hit up the nearby Belvedere Park which has its own Yelp page as “Belvedere Viewpoint.” I won’t post a picture of the view because I want you to check it out! It’s absolutely spectacular and I even hopped the fence and picked lots of (free) delicious blackberries – be wary of the spider webs if you’re picking blackberries. This entry was posted in Do, Explore, Seattle, Stuff we love and tagged alki beach, bbq, belvedere, panoramic, picnic, seattle, summer, sun, view, viewpoint. Joanna (Seattle) is an artist, tree hugger, and food enthusiast who grew up exploring the SF Bay area. She took a management consulting job in Seattle after college, travels the world for work and pleasure, and enjoys the great outdoors. Visit her personal website at www.pastryday.com.